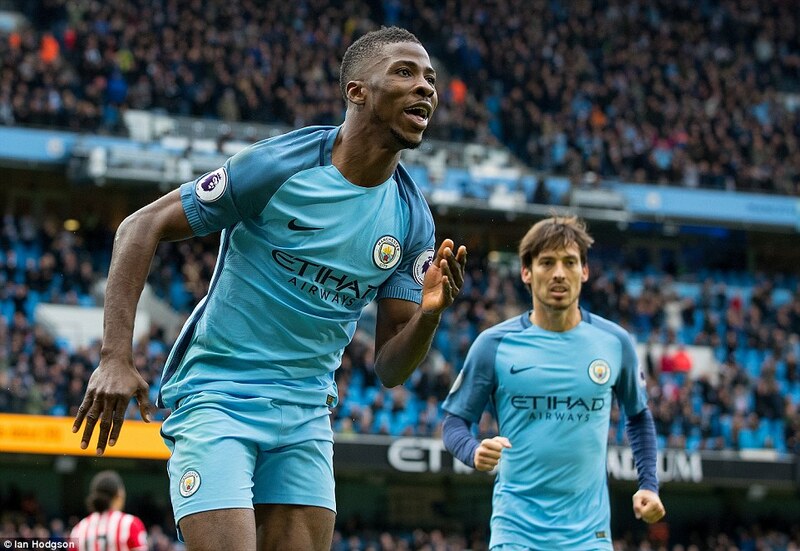 Super Eagles forward, Kelechi Iheanacho came on from the bench to help Manchester City secure a precious 1-1 draw against Southampton at the Etihad Stadium in Sunday’s Premier League early kickoff. The Nigerian international who came on for Kevin de Bruyne in the 46th minute after the Citizens have been a goal down in the first half through Nathan Redmond, wasted no time as he leveled the score in the 55th minute with a cool finish from David Silva’s assist. The goal, which is Iheanacho’s second in the League this season came as a big relief for manager Pep Guardiola, who had a bitter experience in the Champions League on Wednesday after Barcelona trashed his side 4-1 at Camp Nou. The former Golden Eaglets star told skysports after the match that the team must forget about their 1-1 draw against Southampton and focus on their next match (against Man United) in the League Cup on Wednesday. “I am delighted that I scored a goal today but then, it’s sad that we didn’t pick the maximum point,” Iheanacho said.